Jake takes Liz home and she blames herself for what happened. Jake assures her that Ric is to blame. He wants to start fresh. Liz wonders if he worries about his past, but Jake wants to live in the present. Jake declares he&apos;s where he wants to be and the two kiss. Shawn confronts Julian about the hit on Jordan, which Julian denies any knowledge of. Julian claims Jordan isn&apos;t worth the bullet. The women are forced to break up the following dust up. Anna admits to Duke that she and Sloan are not together. He tells her that things are done with Lucy. Duke wants a relationship and says he&apos;ll leave the mob for her. Anna agrees to go on the run with him and the two agree to meet up later. Duke tries to call off the hit on Jordan. Nikolas gets home to find Hayden in his bed. After they do the deed, Nik wants her to leave, but she tells him that she has no place to go. Hayden holds it over his head that Nik knows Jake is Jason. Nathan and Ellie kiss in order to get Spixie&apos;s attention, which it does. Maxie admits that she only wants to be friends and co-parents with Spinelli, because she&apos;s in love with Nathan. Spin admits that he&apos;s in love with Ellie. Sam confronts Olivia about the knowledge of Julian&apos;s paternity. Olivia begs her not to tell her father, say Julian can&apos;t keep his family safe. Sam says she can&apos;t lie to her father as Julian arrives. 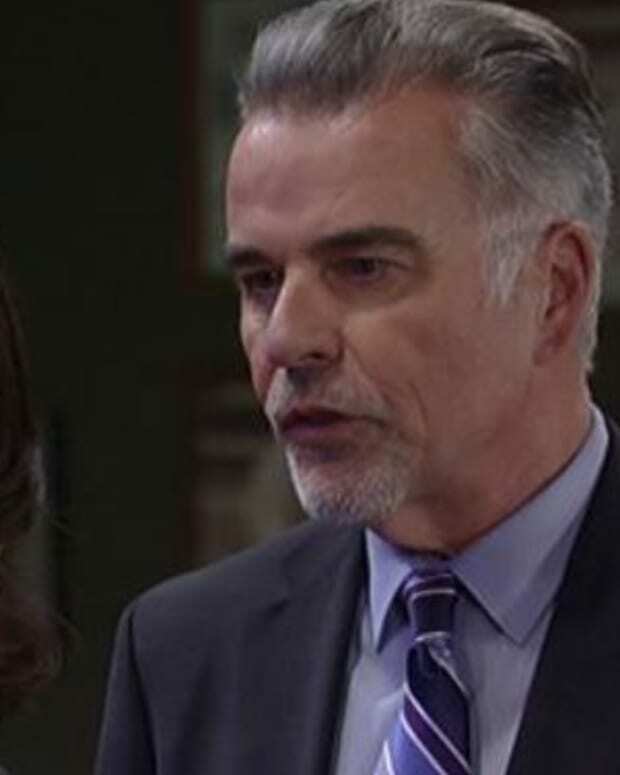 Perkie's Observations: Anna's Back on General Hospital!